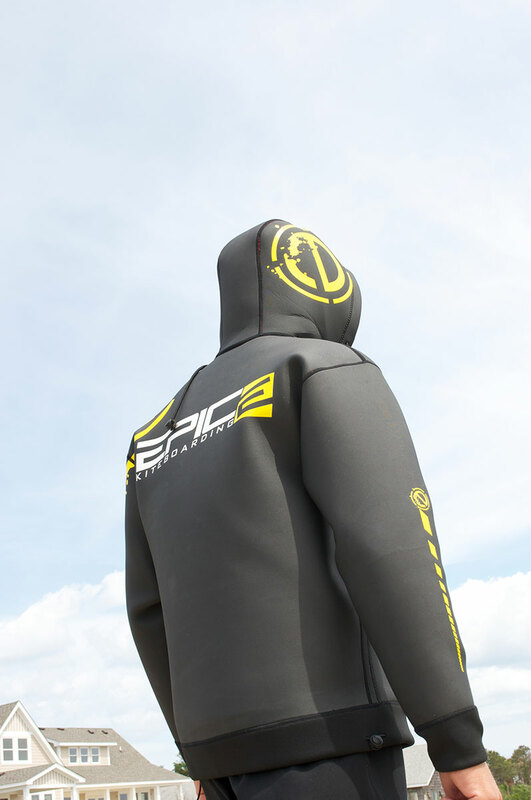 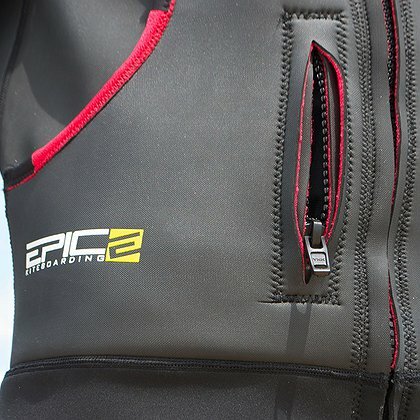 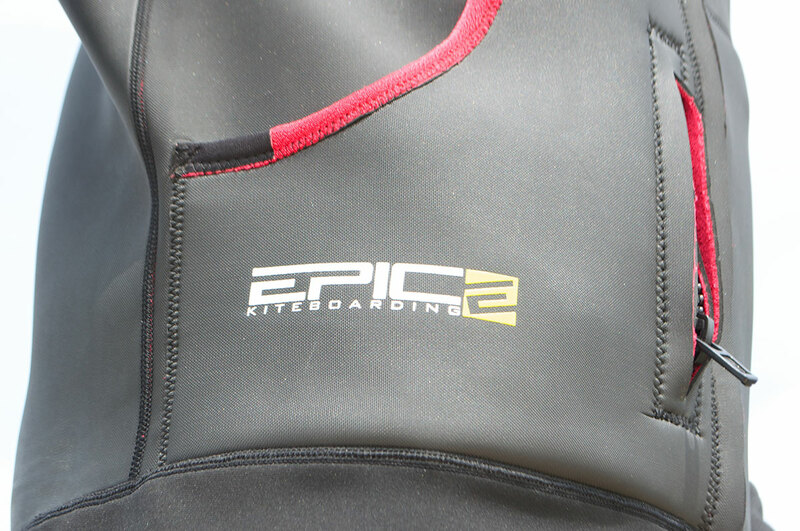 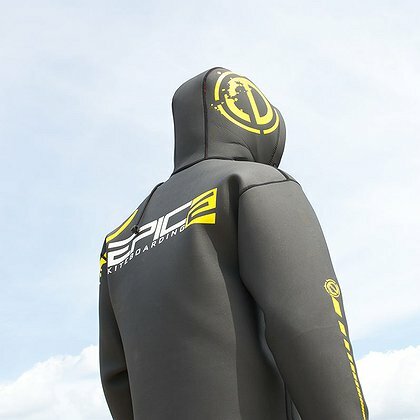 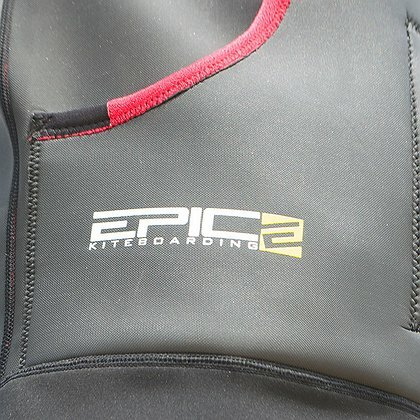 The EPIC Neoprene Hoody V2 is a 2mm Neoprene jacket. 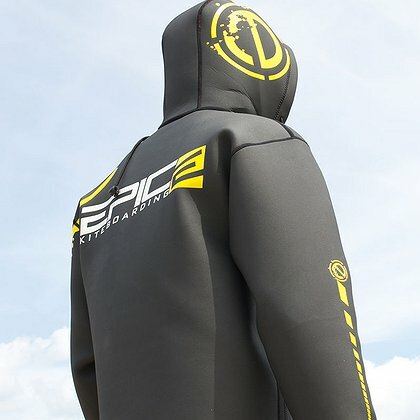 These are meant for after/before water use. 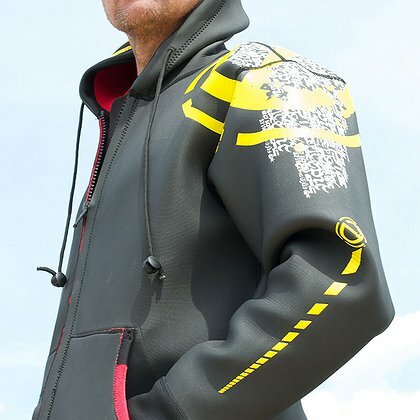 It is cut exactly like a hoody sweatshirt. 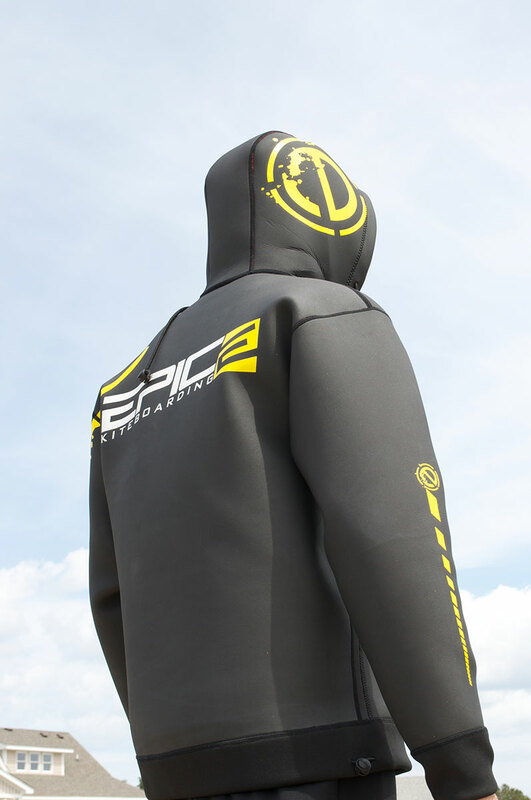 Oversized and warm, it features a hollow fiber lining and skin exterior. 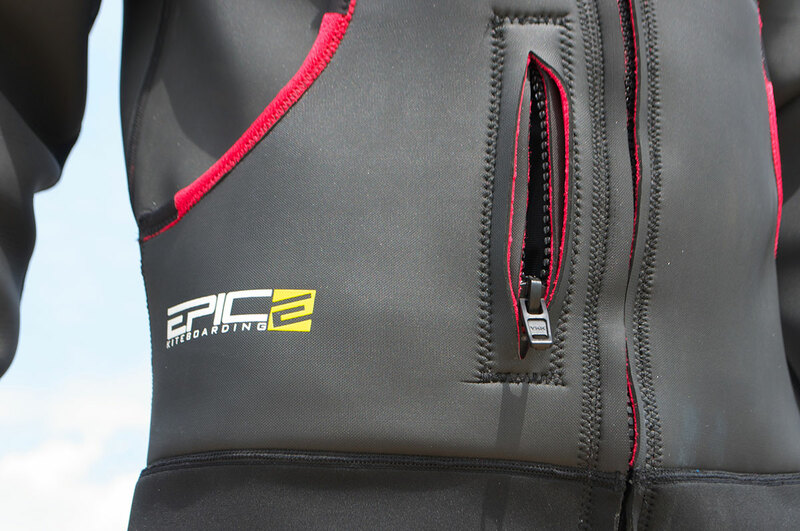 It holds virtually no water at all, so it is windproof and waterproof against the elements. 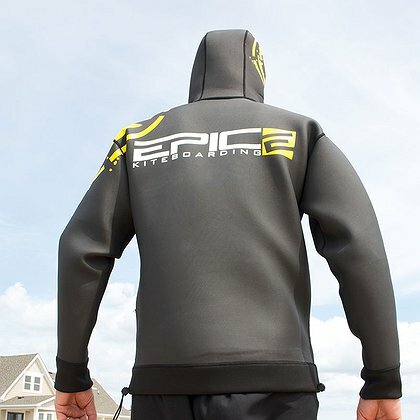 These are designed to fit over wetsuits while rigging or hanging out or they can be worn alone over normal clothes. 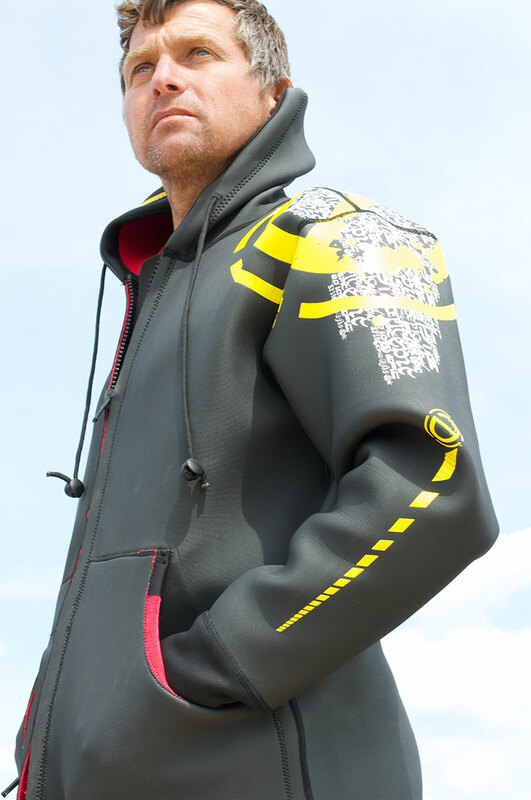 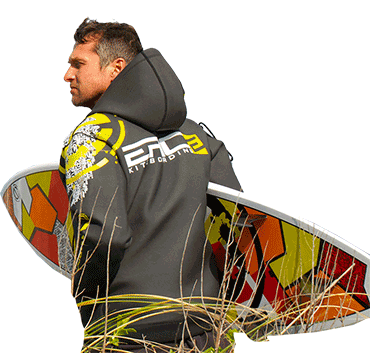 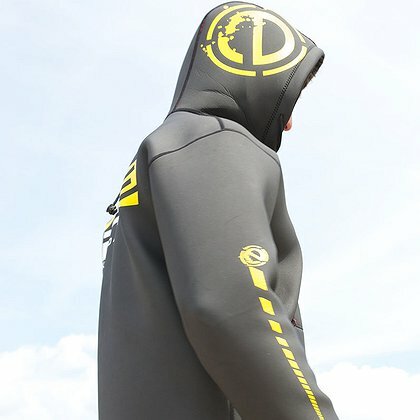 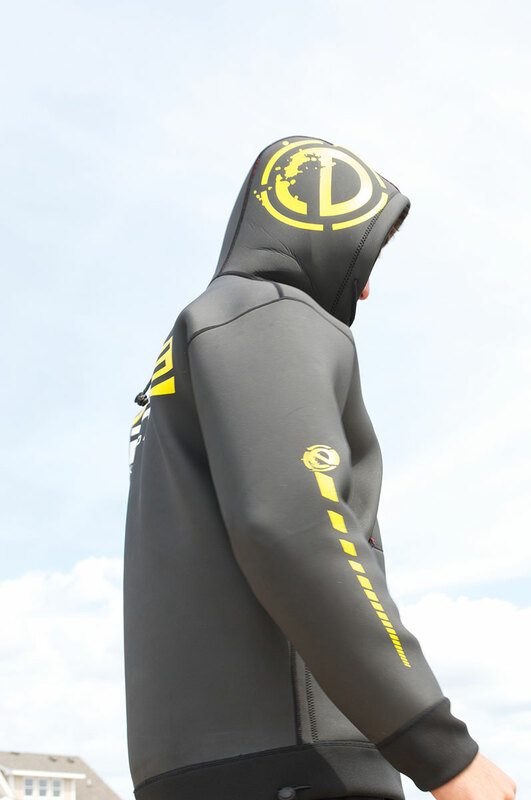 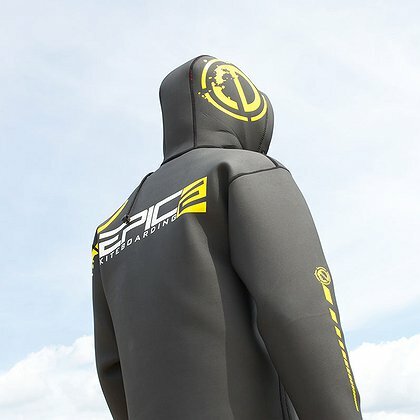 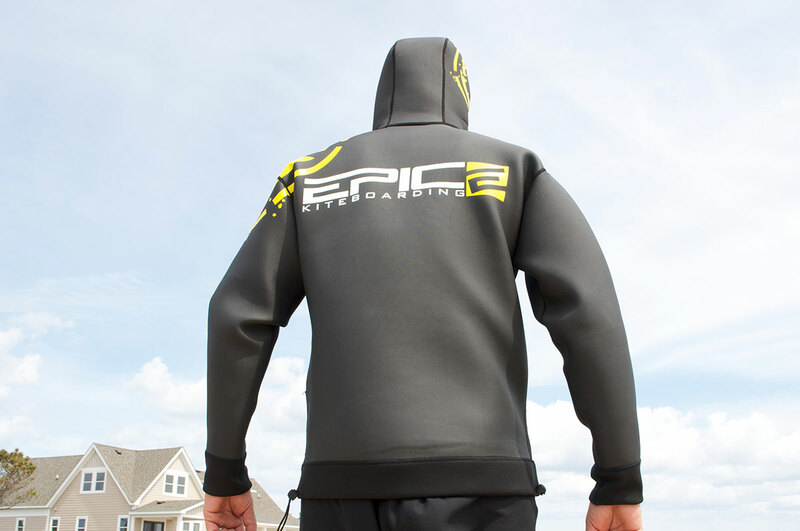 This hoody is perfect for before/after sessions, during contests or events, driving home in your wetsuit, or for travel.